North Korea provides details about latest ballistic missile test, says it was supervised by leader Kim Jong Un. North Korea on Monday (local time) provided details about its latest ballistic missile test. 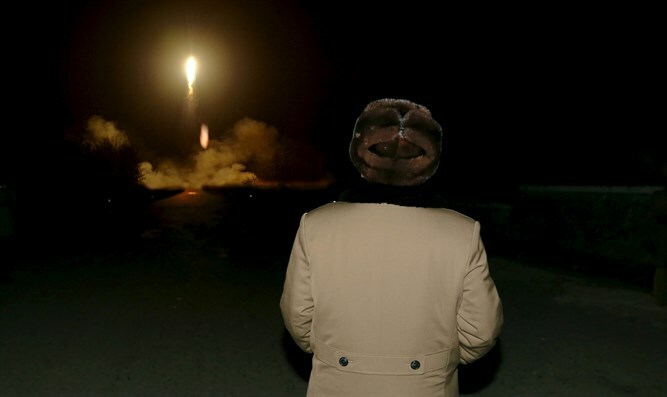 The country said it had successfully conducted a mid-to-long range missile test, which was aimed at verifying the capability to carry a "large scale heavy nuclear warhead", Reuters reported, citing North Korea’s official KCNA news agency. According to the report, the missile was launched at the highest angle so as not to affect the security of neighboring countries and flew 787 kilometers (490 miles) reaching an altitude of 2,111.5 kilometers (1,312.03 miles). The test was personally supervised by North Korean leader Kim Jong Un, KCNA noted. It was the latest provocation from North Korea, which has repeatedly conducted nuclear and missile tests in violation of UN sanctions. Two weeks ago, Pyongyang carried out a ballistic missile test which appeared to have failed. On April 16, North Korea attempted to launch a missile - but it blew up in the sea. Experts claim they may also have publicly displayed an ICBM during a parade marking the 105th birthday of North Korea's founder. The UN Security Council will hold urgent consultations on the latest missile test on Tuesday.